Thambi Ramaiah’s son Umapathi makes his debut in AM (the title is too long, without a reason to the story). Along with him is comedian Karunakaran, as they try to bring the film alive with the duos comical antics. The film which was completed almost 2 years back hits the screens finally today, let’s see how it has panned out. 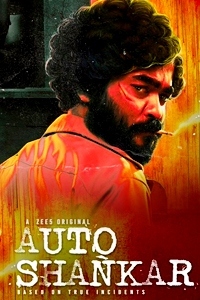 The hero is a guitarist who comes from a simple family, his father is the ever classic Pandiarajan but he hardly has anything funny to quip ; instead the only dialogue given to him is " Enda, enga antha guitar" or rather he goes on a flashback behind the guitar, period. 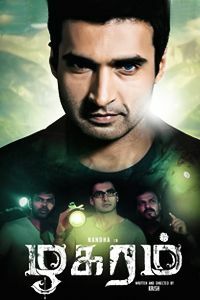 The film opens up with the hero messed up in a situation while trying to help his friend, an attempted burglary at a business man (Aadukalam Naren) forms the crux of the plot, again its only attempted but completely comical to see everyone including the police, media act as if all is lost; it goes too much when the senior cop (Yog Japee) sighs in frustration as he is under serious pressure from senior officers to resolve this issue. But the funny part is that the business man himself does not want police to be involved in the heist matter. So the plot is simple, the hero in his means to help his friend, loses his guitar at a big mansion owned by a business man, the timing is bad as some burglars try to barge into the house at the same time. So to try and keep his hands clean and also retrieve his father’s prized possession guitar, he gets dozens of ideas from his friend Karunakaran, disguises as a detective to get back his guitar only to get caught in a deeper problem with the burglar gang. So with love for the business man’s daughter and his conscious on one hand, the guitar problem on other hand the hero’s predicament completes the story. Umapathy and Karunakaran’s comical sequences throughout the movie is banked upon various classical Vadivel and Goundamani jokes. Remember Vadivel – Arjun combo, the comedian thinks big of himself thinking the hero has his back, only to turn around and see himself caught in the middle of a rowdy gang, what happens next is anybody’s guess. The hero-sidekick comedy line has been built on this strategy, they keep doing this over and over starting on a funny note until it gets tiresome. With a simple plot, the director could have dealt it in a simplistic way, instead he tries to force in comedy desperately making the whole affair look flimsy. There is this scene when the whole business man’s family is gathered to see karunkaran’s nunchaku stunt, the placement is completely ridiculous. Reshma Rathore is just another average Kollywood heroine who appears only in Hero’s duet dreams. Director Inbasekhar attempts to plate a comical story out of a heist drama, the burglar gang is stereotypical, dressed up in black, the usual jokes, and a bilingual gang leader and so on. The film does offer some good moments too; there are some occasional light hearted jokes, you have to wait for them. Umapathy is tall, smart, has that Kollywood hero face for sure, his body language works way too quick, a little patch up and he should be fine, dances rather stylishly even though the song placement is a big sore. Karunkaran looks fresh from Jigarthanda, his innocent attitude has always won his appreciation and even though it’s the director’s mistake in setting up average comedy sequences, he does it very well. 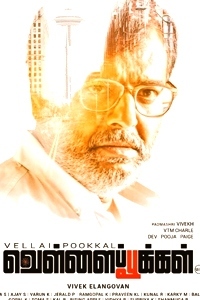 Manobala has an interesting role and does it neatly. Watch out for Thambi Ramaiah’s cameo towards the end. Imman’s music is not bad but again the song placement makes it appear tiresome even though the visuals are done well. Overall Adhagappattathu Magajanangalay works on a few laughs here and there, a flat storyline and less engaging screenplay makes it just an average watch.